The pieces are black and smooth on the back of the pieces and matte finish on the front so not glossy. The fit is not as tight as I prefer but it seems to becoming the 'norm' from the cutting manufacturers these days. 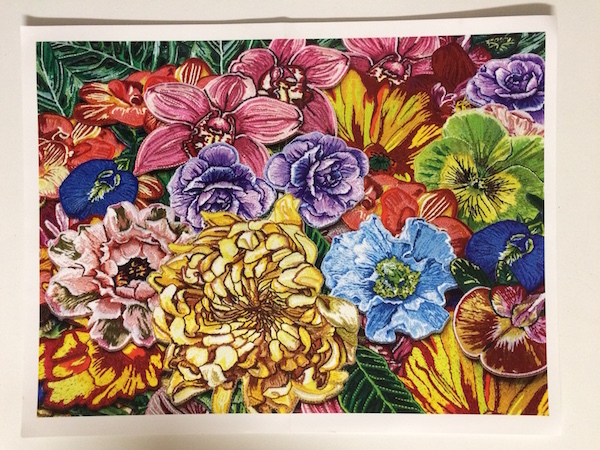 The border went together quite well so the decision would be what color of flower to start with first. 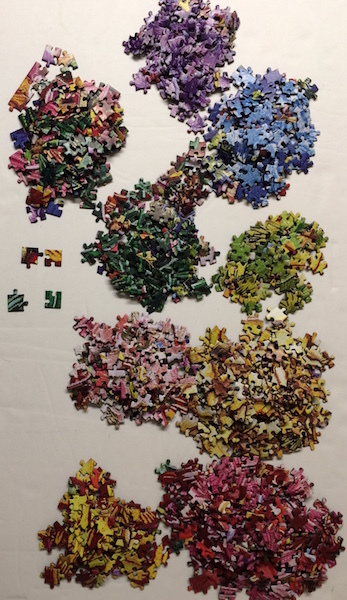 I did the colors from least size color area to the largest color size area. 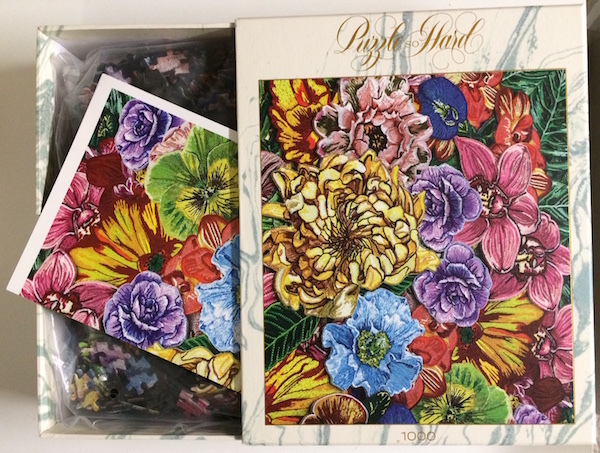 The image for this jigsaw puzzle is done by Danielle Clough and titled Patch of Flower Patches. 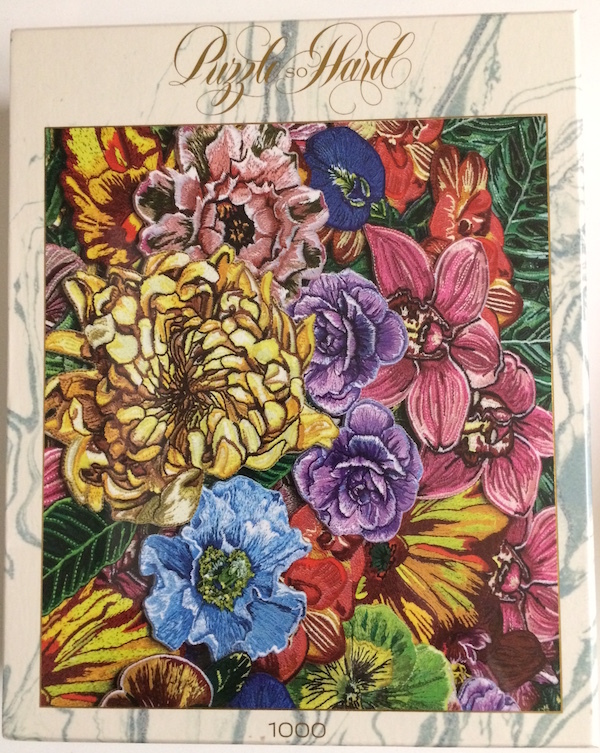 She is an Embroiderer from South Africa and creates some of the most stunning pieces I have ever seen embroidered. Well worth taking a look at her website. That said, I can appreciate the time-consuming detail she 'needled' into this piece of artwork. 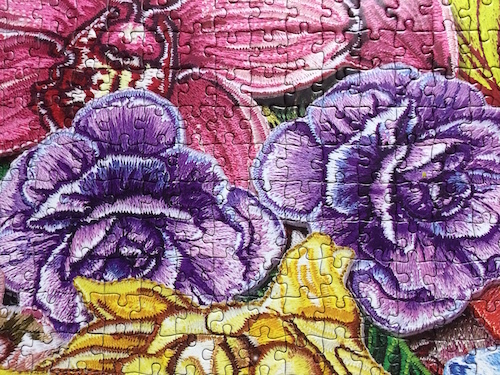 It looks so much better on the table than in the photos. 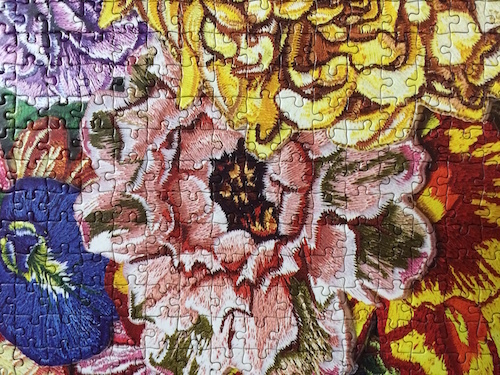 ....and this puzzle lived up to the reputation of Puzzle So Hard as indeed it was. 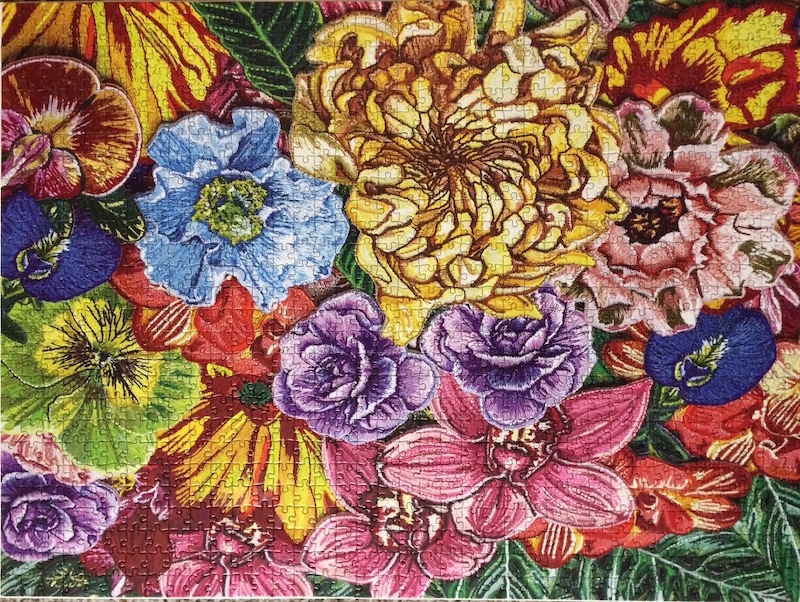 It took me about 3-4 hours longer than most 1000 pieces and I felt 'I got over the hump' a few times which was basically completing one of the colored flower patches. 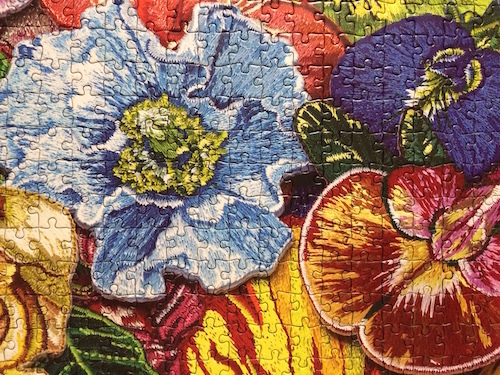 You can see in the beautiful images that follow, very nice closeup photos of the flower rich colors and the style of the cut puzzle pieces. 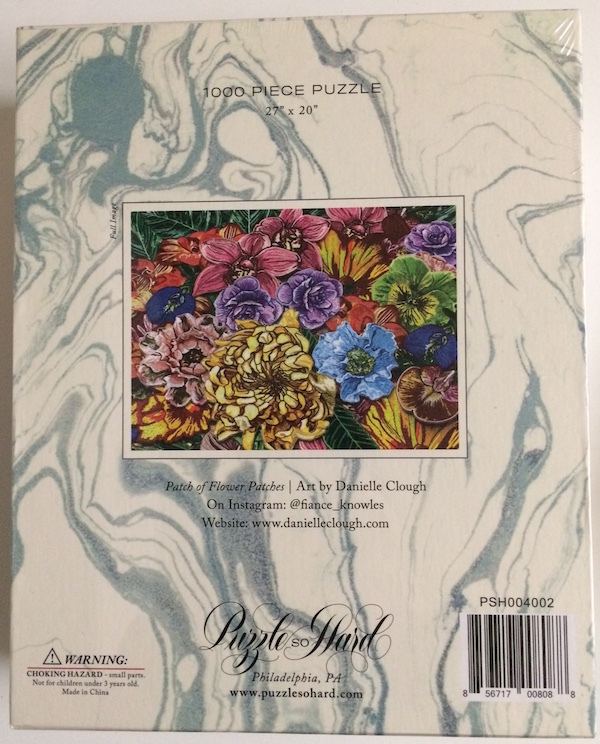 I certainly do recommend this puzzle for those who enjoy challenges and appreciate beauty and quality all in one package! 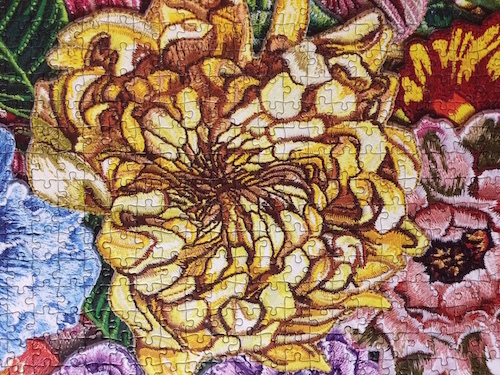 Puzzle Hobby is pleased to share a fresh new puzzle company with outstanding images. 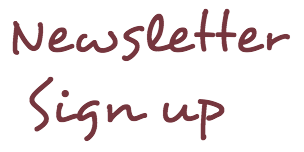 Check out their website at Puzzle So Hard but you must also know this. Think quality! We all know first impressions speak volumes - well you will not be disappointed with the quality. 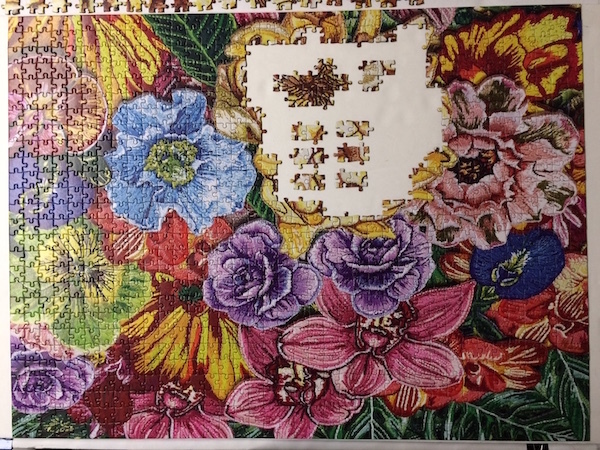 This has got to be the sturdiest puzzle box I have noticed in my puzzle hobby (same sturdy quality as my 32,000 piece New York City Window), it's outstanding - that's for sure! 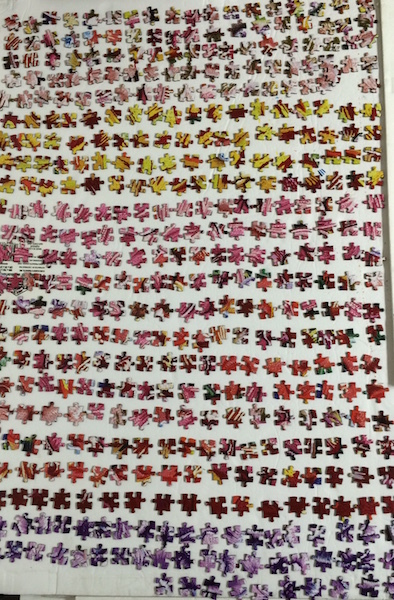 The shipping was speedy, it comes sealed in plastic, there's a poster inside and the pieces are cut clean with black backs - barely skiffs of puzzle dust. 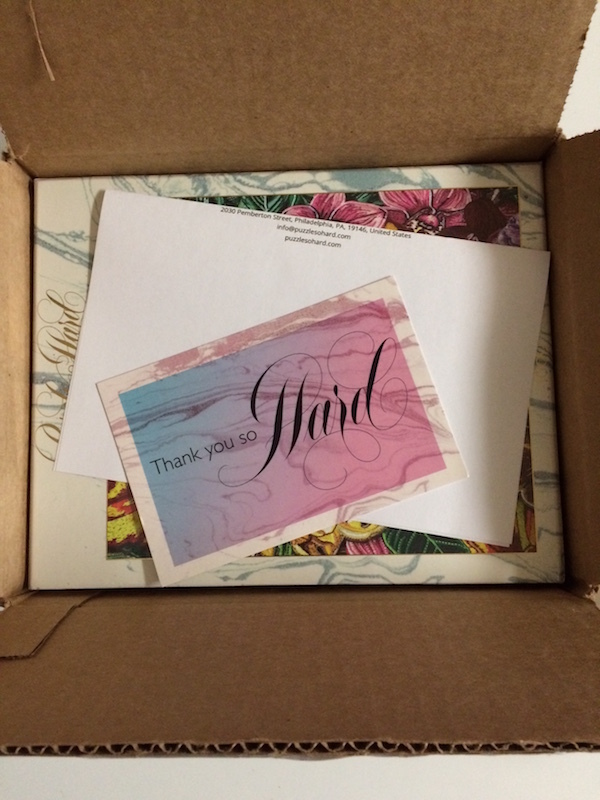 A very classy postcard was sent along to thank me for my support. The following 'mission' statement comes from their website....then there's more photos and details below. 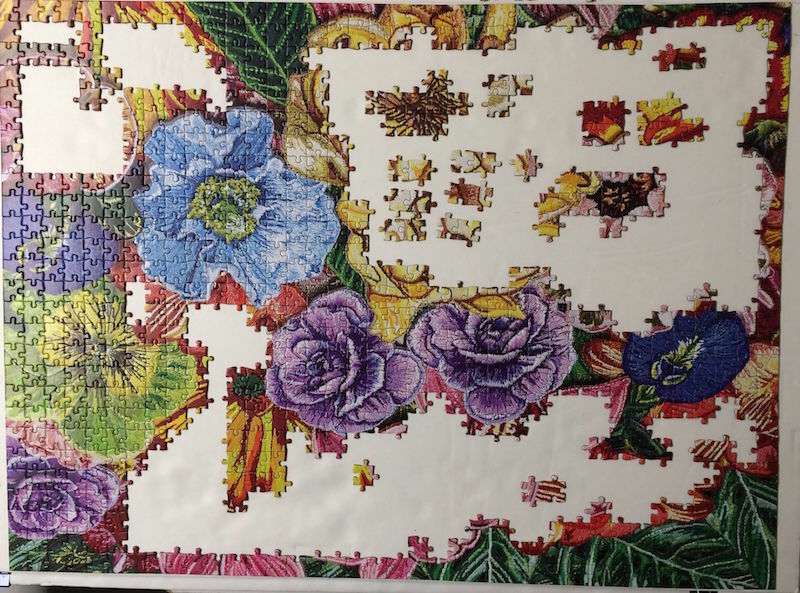 "We make cool puzzles. It’s how we connect. 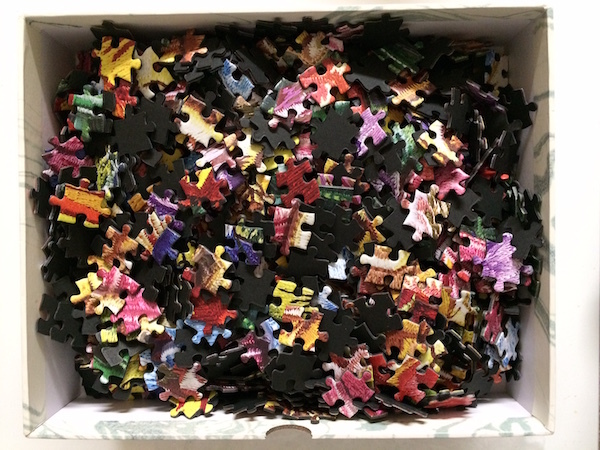 Puzzle So Hard jigsaw puzzles - package. 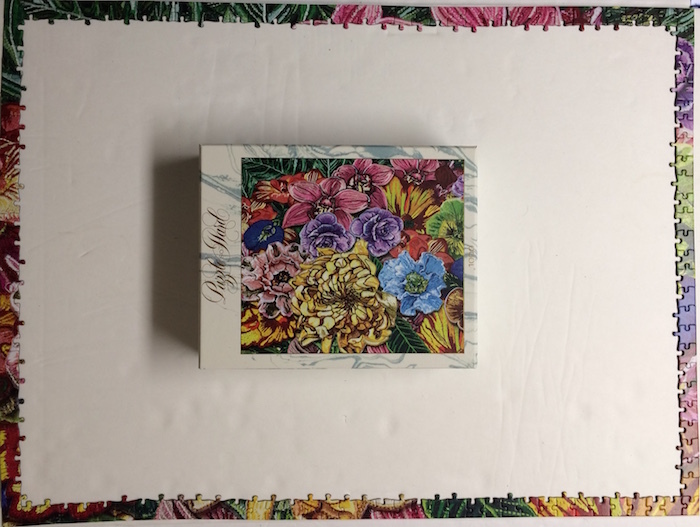 Puzzles sealed in bag, poster and slide open box. 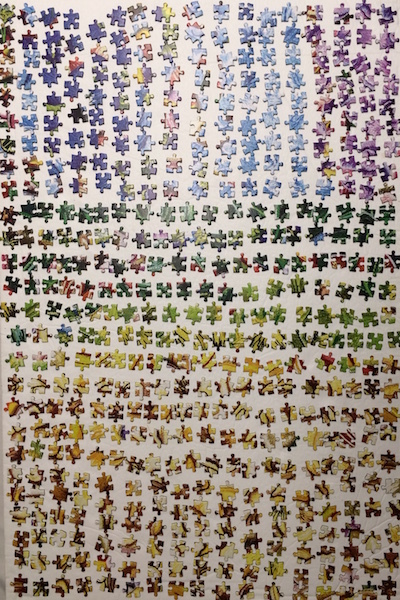 Puzzle So Hard jigsaw puzzles - Poster for image to puzzle - very convenient. 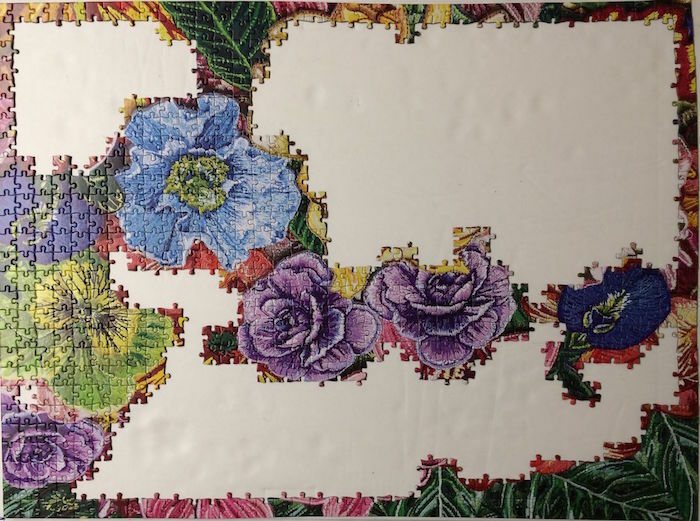 See more details on how Civil Law Attorney Jen Hope gives it all up to start her own puzzle company and the 12 products available already.